An addition will be built on the Art and Architecture Building for the A. Alfred Taubman College of Architecture and Urban Planning. 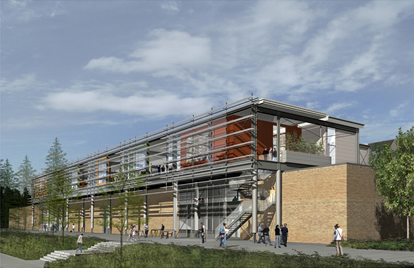 The approximately 16,300-gross-square-foot addition on the roof of the south wing of the building will create new instructional, faculty and support spaces adjacent to existing architectural design studios and faculty offices. The project also will create a more contemporary image on the south façade of the building and provide two new egress stairs.